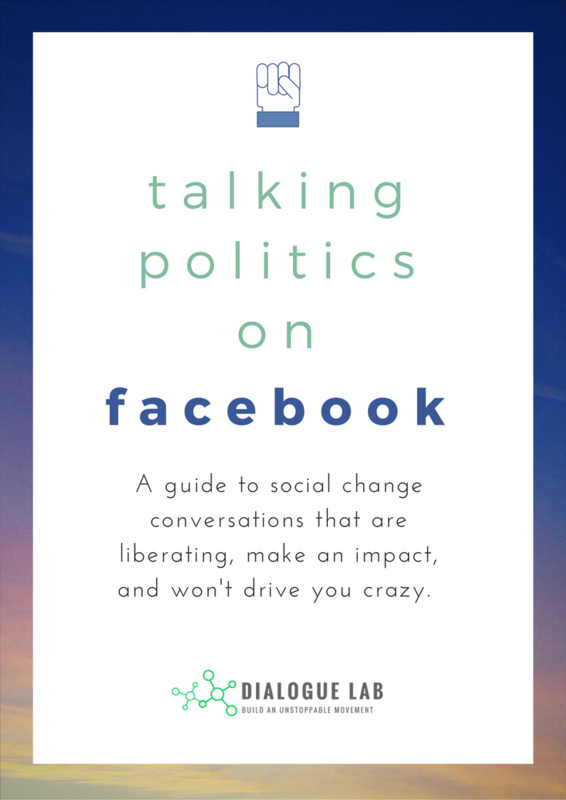 A guide to having social change conversations that are liberating, make an impact, and won't drive you crazy. Whether we like it or not, Facebook and Twitter are media behemoths that shape our political landscape. And the way progressives engage -- or don't -- has a real impact, IRL. I think you know this. This is why so many have been engaging online in often tough conversations. This is hard stuff. Which is why I started experimenting and asking other people how they do it. This guide is the result of that process. Sign up here, and it's yours. This is how we start to build a culture of change. Not by glossing over differences, hoping things magically get better. And not by attacking each other. But by having better conversations about things that really matter. By paying attention to what works, and learning and adapting as we go. I hope this guide is the start of more liberating conversations about what matters in your life. You will also get RENEWAL: tools to banish burnout culture and thrive while you make your impact, every other week.